Correct. I’m not familiar with LA or the Rams prior to 1980. 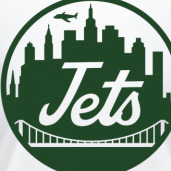 I only know that when I started folllowing NFL in late 80s (the Jim Everett era) they weren’t the Lakers. So while I’ll take what you’re saying as true for that time, but it certainly had faded by the 90s. Well you're spot on there. 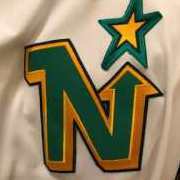 The Anaheim debacle was a disaster for them, they started losing ground to the other local teams even though they were good in the '80s. 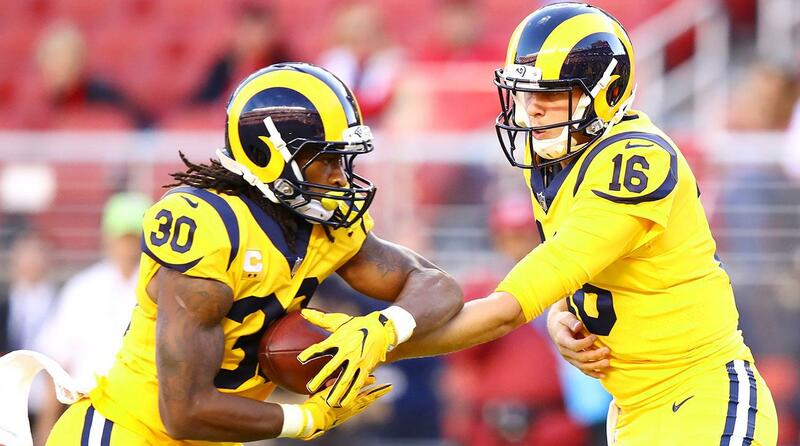 Anger at the Rams, Fernandomania, Showtime and Raiders combined to essentially ruin the franchise. Then in the '90s they started losing a lot and they became ghosts. Gods I miss Fernandomania. When he was all washed up and came to the Phillies, I was so excited, only to be let down once I realized the harsh reality of the situation. Yeah he was loooong gone by then! They cap the tickets around 69k. I'm not sure what it is exactly (70k? 75k?) but they don't intend on selling out the entire Colosseum. Even then. Compare the Rams' 69k/game to the 25k/game that are mostly road fans for the Chargers? And it's very much a Lakers/Clippers deal. I'm not familiar with the LA sports scene either, but everyone from there I've spoken to seems psyched about the Rams and apathetic about the Chargers. So I definitely do think you can use the Lakers/Clippers dynamic here. Whateves. At least they're out of ing St. Louis. 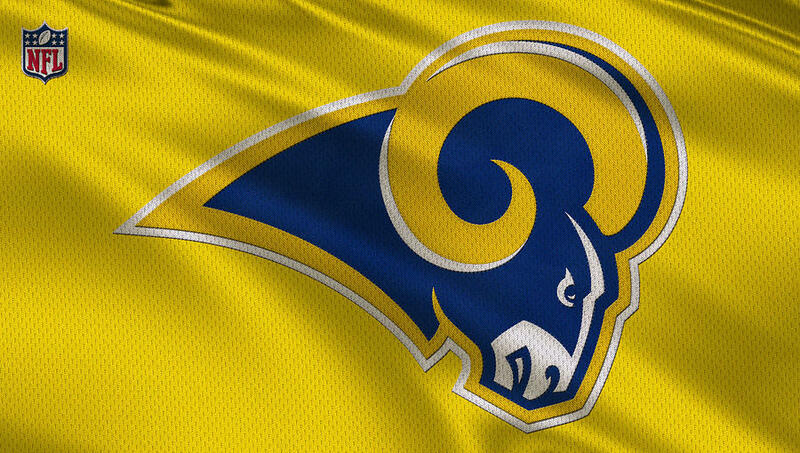 I love all the revisionist history that the rams were beloved in LA and are the Lakers to someone else’s Clippers. For one thing, it would mean that an Anaheim team was the core team in the LA market, which would complicate some other arguments that some have made in other thread. I think the Chargers = Clippers argument is entirely accurate. But I don't think the Rams are anything close to the Lakers apart from both happening to be the most popular LA team in their respective sport. 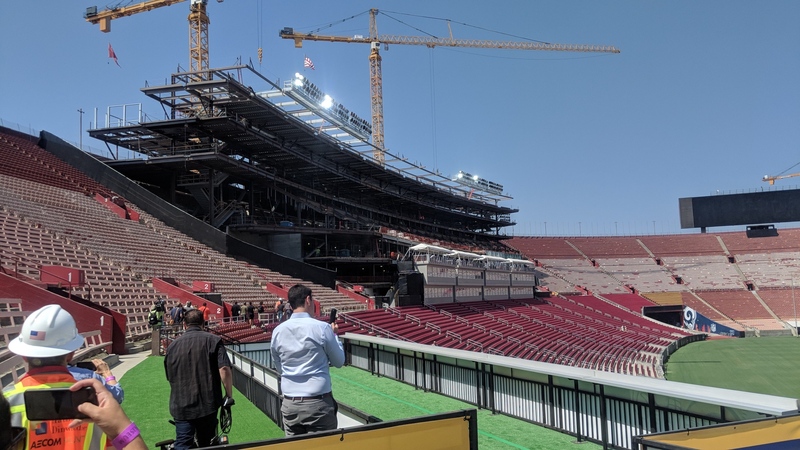 They’re also capping the tickets since the entire Coliseum is a construction zone this year. This was pretty much what I was getting at. The chargers exist only for visiting fans that want a road trip.. then again, Rams games can sound that way too. I believe one Rams player said he thought it was a road game when they played the SBCPE. Edit: it was actually rivers of the chargers. I thought a ram said the same but no source to cite. I believe one Rams player said he thought it was a road game when they played the SBCPE. To be fair, couldn't that also be said for every road game that the Super Bowl Champion Philadelphia Eagles play? For the next year or so, yes. Eh, I wouldn't overplay the Anaheim thing. Angel/Anaheim stadium is 30 miles from downtown. Yes, traffic makes a difference but geographically it's not what the problem was. Georgia Frontiere was the problem. Also I'll be frank about what a lot of people have told me regarding the Chargers besides the other reasons everyone knows. 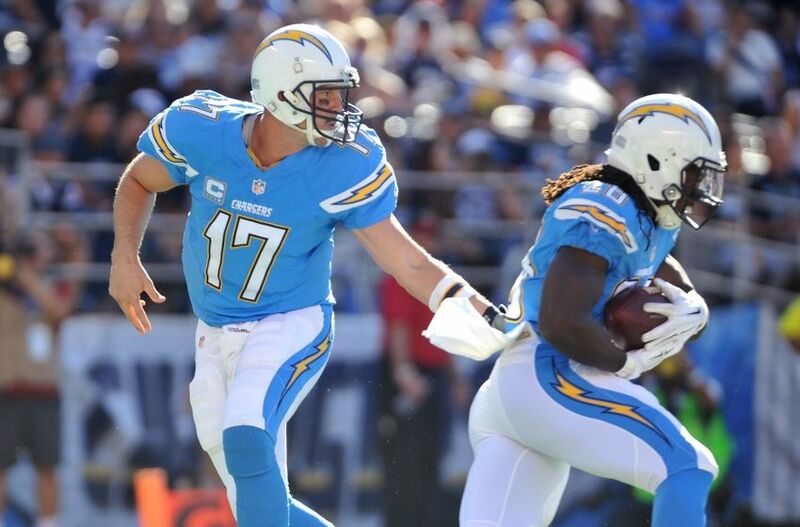 It's a perception that the Chargers brand is bland/unexciting, and to be frank with the navy color scheme it is. The sooner they go full powder blue the better. The Orange Curtain was a thing, after all. It's over friend. For political, economic, and ownership reasons. It just doesn't make any sense to go back at this point. Chargers will be fine, they will retain a portion(if not most over the course of time ) of the San Diego fanbase while having greater appeal to a region of 20 million people. 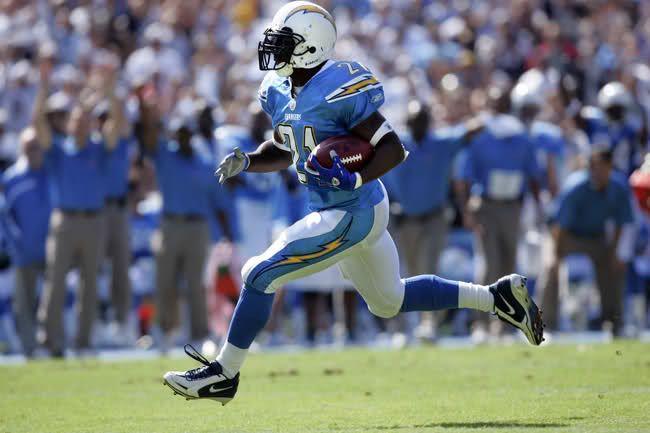 If they go full powder blue and have the winning/stars in LA they will become an iconic franchise. The Chargers actually had a very good turnout at the Rams game. I think the prices at Stubhub are a deterrent right now. Yeah, that too. Anyway I'm not sure how familiar you are with Southern California but to Angelenos, Orange County might as well be an entirely different city. We'll take credit for Disneyland and disown everything else. We like the Dodgers, not the Angles. We like the Kings, not the Ducks. We like the... wait? 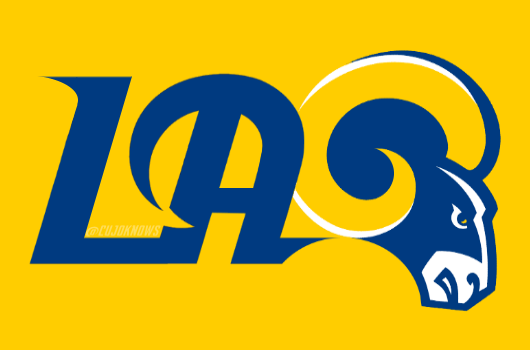 Not the... Rams? It was at least as big a problem as Georgia was, at least until 1995 when she went FULL witch and stole the team outright. Historically, there has been a racial component to the contentious relationship between LA and OC. That’s diminished greatly, I understand, but when the Rams played in Anaheim it was very much a thing. This is how LA football should look in 2020.